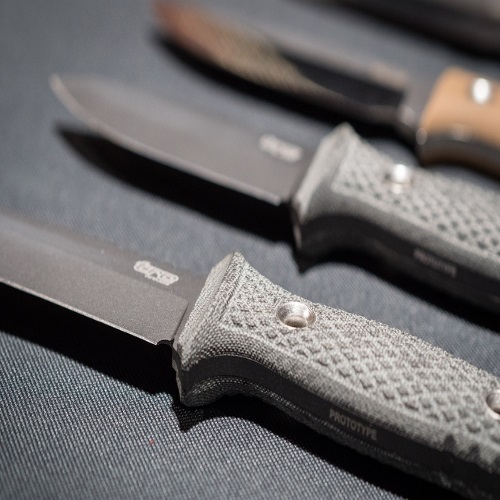 When it comes to knives, a lot of focus is (justifiably) given to the blade’s steel. You can make a great knife with good steel, but you can’t make a good knife with bad steel. Some are just way better than others. Obviously, this also has to do with the designated use of the knife, but essentially the focus on the steel, and the grind which is used (hollow, scandi, flat, etc.) 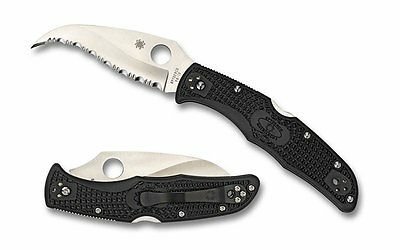 There are many companies producing top-notch knives today and one of the leading knife manufacturers is Spyderco. Syderco has been around since 1975. Sal and Gail Glesser began the company selling the Tri-Angle Sharpmaker, a knife sharpener that was the companies first product. Fast forward to 81′ when the Glesser’s moved the company to Colorado. They released their innovative Spyderco knife in that same year. 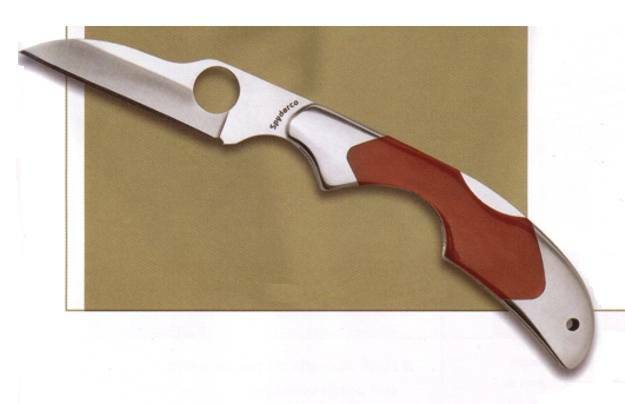 This knife was designed with a hole in the blade to allow for one-handed opening. Another innovative feature was the addition of a clip on the handle. This allowed the knife to sit on the top of the pocket for fast access. It also had a optional serrated edge. This knife single-handedly changed knife design forever. 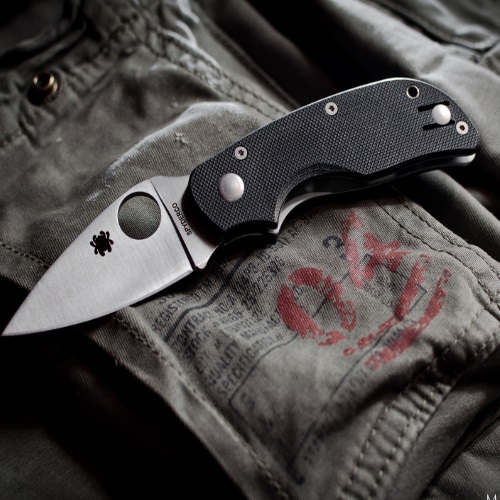 Every modern folding knife that has been released since owes a debt of gratitude to Spyderco. Since the release of the revolutionary folding knife Spyderco has since a steady growth in the cutlery industry. They have branched out into all types of knife models. From the kitchen to the open field Spyderco has a the knife for the job. This has earned the company a reputation as one of the top producers of knives around the world. One of the aspects which is sometimes slightly overlooked is the actual shape of the blade. This is also a major contributing factor, and it sets knives – and their uses – apart. There are many different types of blade shapes, and they serve different purposes. Some shapes were invented by seafaring buccaneers and fishermen, others were made by hunters and wilderness campers, and there are also shapes specifically designed for combat, and even emergency situations. A blade in which the tip point is a little lower than the spine of the knife. The origin of this shape is in hunting knives. The drop point shape is one of the most popular shapes for every day carry (EDC). This blade has a smooth cutting edge and a blunted, rounded tip. The main advantage of this shape is that there is no point, and this greatly reduces the chances of accidental punctures. For this reason, it is widely used in emergency situations. A blade shape in which the point of the knife slides downward from the spine to meet a straight cutting edge at the tip. It resembles a Sheepfoot, but there is a very sharp point to it. One main advantage of this shape is that they are very easy to sharpen. There is no belly or indent, but a straight edge. This could be a disadvantage when slicing or draw cutting, since the tip does a lot of the work. A blade ground on the spine in an angled or sweeping line downward to meet the point. Very similar to drop point blade shape. This tearing- and slashing-oriented shape is most commonly used by fishermen. It is a blade with a sharp curve on it, and it is designed for cutting with a pulling motion. Excellent for quickly getting through lines, webbing, and netting. This blade has a blunt tip, which is designed to prevent any accidental punctures. Ideal for cutting webbing, rope, seatbelts, or clothing. This shape is also used by emergency and first-response personnel. So named due to its resemblance to a backwards letter “S”, this blade shape has the tip curving downward. It has a tip which is reminiscent of the Hawkbill blade, but it has a wide belly in an outward arc. A good slicer. The Bowie blade is used to describe any variation of a blade which has a primary cutting edge with a curved “belly” and a clipped point. This blade shape is named after Colonel James Bowie. The clip may be sharpened or unsharpened or may be straight or concave, and the shape is still considered to be a Bowie. A blade with sharpened edges on both the primary edge and the spine. Alternatively, the shape could be a symmetrical blade with two sharpened edges, like the ones on a dagger. This blade is symmetrical, and it has curves on the spine and the cutting edge. The blade’s centerline holds the primary bevel and the point. Spearpoint-shaped blades sometimes have swedges (sharpened or unsharpened) on the lower part of the knife’s spine. 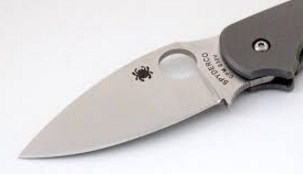 This is a shape which was developed and refined over the years by Spyderco. It resembles a Spearpoint blade, but is not as symmetrical. Furthermore, it typically has more of a point, and no swedge. Other types of shapes exist, but these are the most popular ones. The blade shape matters. Depending on the task, one shape could complete it before another. Certain shapes have specific uses, and it shows. Trying to prepare food with a Hawkbill is usually going to result in disappointment, but it can cut through ropes and boxes like nothing else! It is of utmost importance to pay attention to the law, as well. Some shapes are not permitted for every day carry in the United States. There are federal regulation and state regulation. Depending on your local laws, you will find that carrying one shape is much more preferable to the other. You’ll have to see which shape meets your requirements, as well as the law’s requirements. Doing research always helps, and it guarantees that you will be purchasing a knife which will last you for a long time. 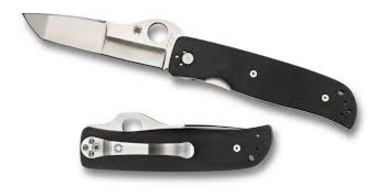 In closing, which ever design you choose when you purchase a Spyderco you are purchasing a knife for life. Providing, of course, that you maintain it and take good care of it. Spyderco offers one of the most diverse selections of knives on the market. Their knives come with all flavors of grinds and edges. I would like to take a moment to look at which grind would be best for my hunter readers. We all know that knives are more than just a blade and a handle. The uniqueness is in the grind. For those new to the term the grind is how the blade is sharpened to the edge. There are 8 main grinds utilized with knives. We will focus on the ones best for hunting. 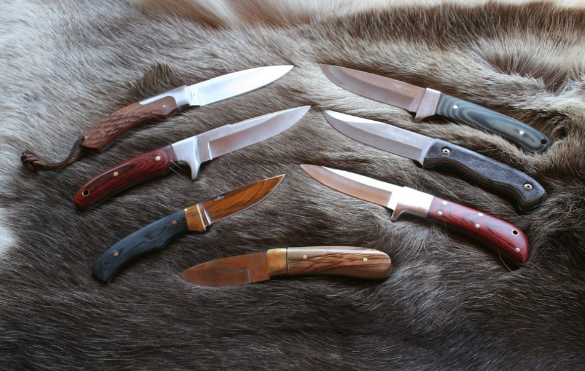 The hollow grind is a favorite of hunters due to its concave cut to the edge. This makes the edge extremely sharp which makes it perfect for skinning. The downside is of the hollow grind is in the edge of the blade. Because it is so thin it is not as durable as other blades. With the hollow grind you are trading durability with sharpness. Another grind I recommend is the V grind also known as the Scandinavian. With this grind the tapering doesn’t being until close to the edge leaving more of the blade as thick as the rest of the blade. This creates a strong and sharp edge. 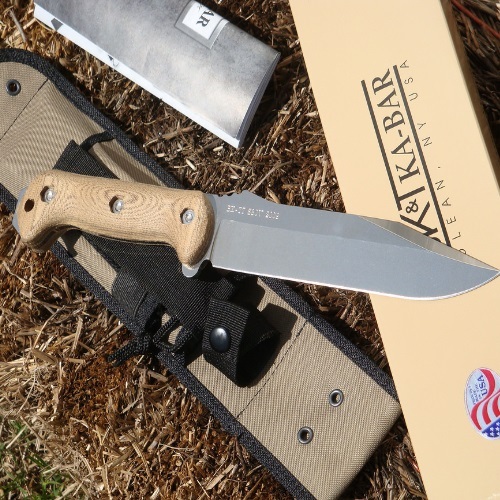 it makes the perfect survival or outdoors knife. They are also known to be much easier to sharpen no matter where you may find yourself.